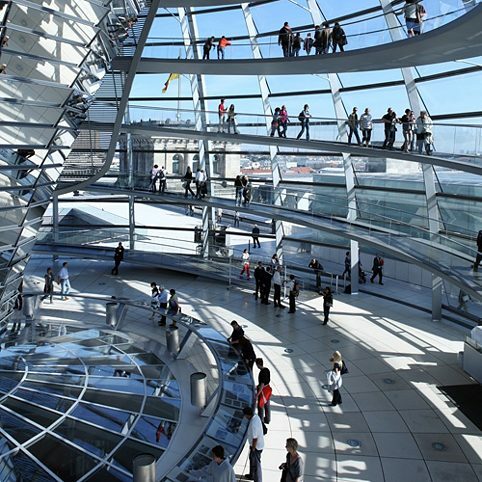 Germans went to the polls at the end of September to decide who will serve as legislators in the Bundestag. We summarize how users in social media commented on the vote on election night. Cultural creatives and civil society actors all over the world tell us what they wish for in the time after the election. No election campaign gets by without posters or info booths in pedestrian zones. In the street campaigns, parties and public are discussing, arguing, canvassing – all with the tremendous efforts of campaign volunteers. They spend their weekends at info booths, hand out flowers and put up posters. What drives them? A look behind the scenes of the street campaigns in Bavaria and Berlin. What do people outside Germany wish the Bundesrepublik? In short clips, journalists, civil rights activists, experts on Germany and other engaged persons from seven countries express their often surprising opinions. Austrian Theresia Töglhofer is an author and expert on international relations. She wishes Germany partnership instead of paternalism. Rob Savelberg is a journalist and correspondent for the daily newspaper De Telegraaf. He wishes Germany less Pegida clamour and more children. French author Oscar Coop-Phane doesn’t just speak about Berlin in his books, he also lived there for some time. He wishes Germany a capital as he remembers it.